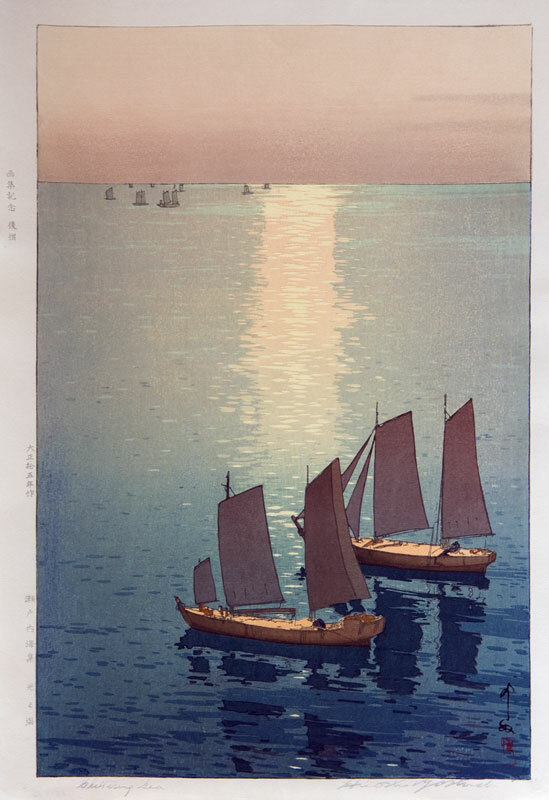 Block signed print title (Glittering sea) and artist’s name (Hiroshi Yoshida) in bottom margin. This reprint published by the Yoshida Family Studio. The note ‘181076’ in black pencil on the verso suggests this reprint was published on the 18th of October 1976.